This video explains you about Bitcoin trading tutorial. Cameron and Tyler Winklevoss chat with Sarah Lane on the Future of Bitcoin at New York Disrupt's Startup Alley. Learn about Bitcoin. This short animated video is an introduction to Bitcoin made possible with donations of time and money from the Bitcoin community. This video explains you why Bitcoin price will raise up this year. Why we should do verification at Bitcoin.co.id? This video explains you why you should do verification at Bitcoin.co.id. This video explains you what is dash. Xapo's Wences Casares will convince you that Bitcoin is the most important social experiment of our time. 5,000 years after the birth of the old gold standard, this new and accessible alternative is here to stay. 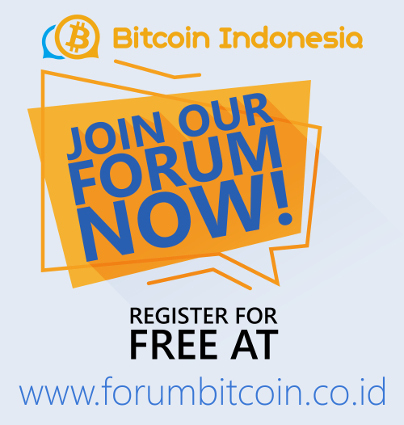 Bitcoin.co.id explains the future plans for their business and the bitcoin community in Indonesia. Oscar Darmawan, the Co-Founder and the CEO of Bitcoin.co.id, tells us about Bitcoin and its growing market in Indonesia. The official trailer for one of the most popular documentary films on Bitcoin: The Rise and Rise of Bitcoin. Bitcoin 2014's Bitcoin Technology: Present and Future's Feature Presentation: Taking Bitcoin Development to the Next Level by Mike Hearn, Bitcoin Developer took place on Saturday, May 17, 2014 at the Movenpick Hotel - Zurich 2 from 2:00pm-2:30pm. Featuring: Ian Lee, FTMBA 10, Senior Vice President, Citi Ventures. This short presentation explains perfectly on why you should know about Bitcoin which can potentially change the world. What is Bitcoin Vending Machine? Do you know what is Bitcoin Vending machine? What the differences between Bitcoin Vending Machine and Bitcoin ATM? This video helps you to use Bitcoin Vending Machine. How & Where to Buy BITCOIN? If you are new to Bitcoin, you will find it hard to get your hands on some at first so here is a list of the most popular websites to buy Bitcoin from. Bali, one of the most beautiful islands in the world, is now a bitcoin friendly place where you can (almost) literally buy everything with Bitcoin! Do you know what is Blockchain? This video explains you what is Blockchain. Ever thought about accepting payments in Bitcoin was cool? Well, in Bali, Bitcoin friendly brick and mortar merchants are growing much faster than you can imagine! This video explains you top 10 moments in bitcoin history. What does Blockchain do? The use of a Blockchain solution aims to increase efficiency, transparency and security, as well as to lower costs and to create better customer experience. We're the first bank in South East Asia to use Blockchain! Wannacry Ransomware and Bitcoin News in MetroTV Xinwen.